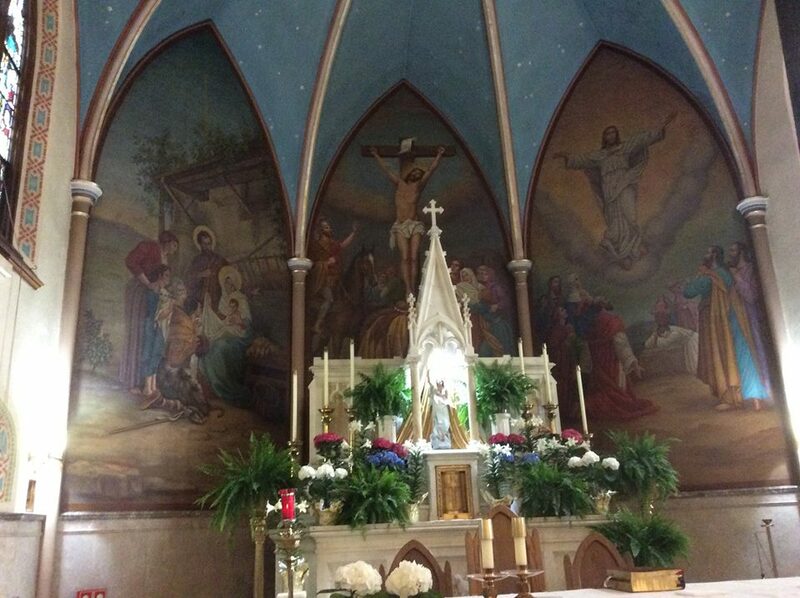 The work at St. Patrick’s Church included extensive restoration of the large mural in the sanctuary. The mural consisted of three large panels, each approximately 10′ wide and 20′ high, and contained twenty-five figures. 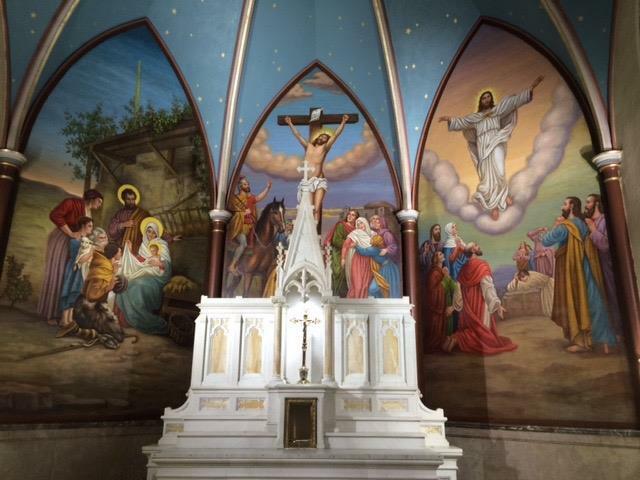 Each panel was cleaned, repaired and inpainted to restore the original colors. 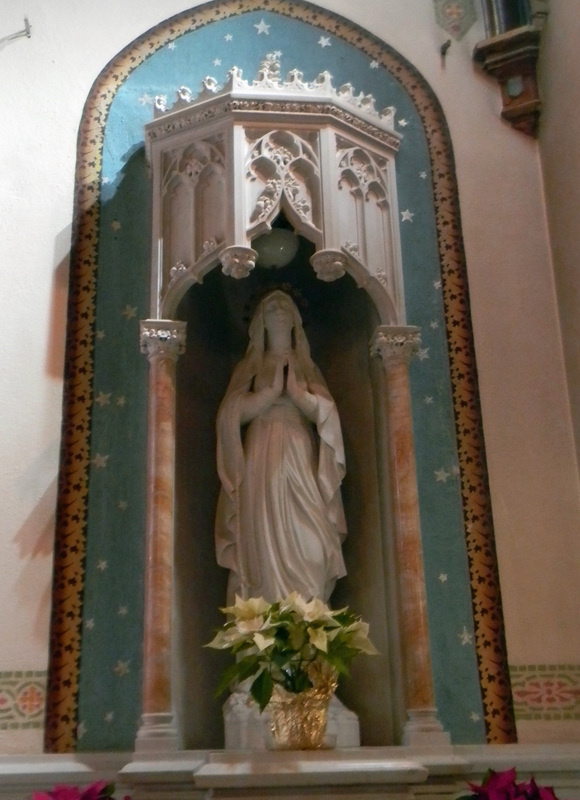 A few less-desirable features of the original were changed at the request of the Church. 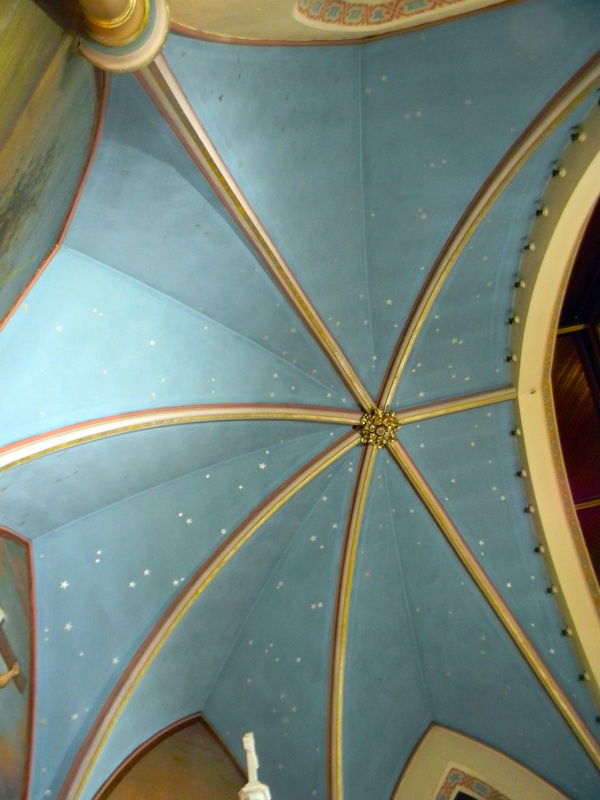 The ceiling and side-niches were painted and stenciled with gold stars.